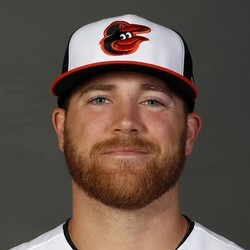 David Hess (1-3) took the loss Wednesday, giving up six runs on eight hits, three of which were home runs over two innings as the Orioles were beaten 8-1 by the Rays. Hess looked great in his first start of the season but his three since he has given up 13 runs over 12 1/3 innings. The 25-year-old righty should be avoided in fantasy. Hess next faces the White Sox at home on Monday.